Kelly Gilderson here. Social media is changing the way the world works – but is it really benefiting us? Today I want to reveal some insane ways that FB and other big media monsters are using your data and making a TON of money. Facebook revolutionized world culture and set the standard for what a social media platform should be. Individuals, businesses, governments, and centers of education use Facebook as a way of communicating with the masses. In doing this, they entrust to Facebook much of their private, personal, and at times sensitive information. When you peel back the layers and look at the amount of information Facebook has about the general public and compare that with the privacy violations, creepy experiments, and psychological manipulation Facebook has used that information to carry out, a terrifying picture starts to emerge. Facebook is more than just a company that uses advertising to make money. It is a company that world governments and industries have been able to use to collect, analyze, and use your personal information. Recent news stories have discussed the Facebook scandal. However, self interest prevents many media outlets from telling the whole truth. They skim over the darker aspects of what Facebook is doing. The following are a few of the disturbing facts about Facebook. Our goal is to shine a light on the true nature of Facebook and explain how it is a danger to privacy and how it interferes with free thought. The application “thisisyourdigitallife” told users that the personality app was collecting anonymous information for psychological research. The app, produced by Global Science Research, required users to agree to the terms of the app before granting the application access to their Facebook data. The app was reportedly bolstered by Amazon Turks. This is a program that pays individuals to do brief online tasks, including surveys. 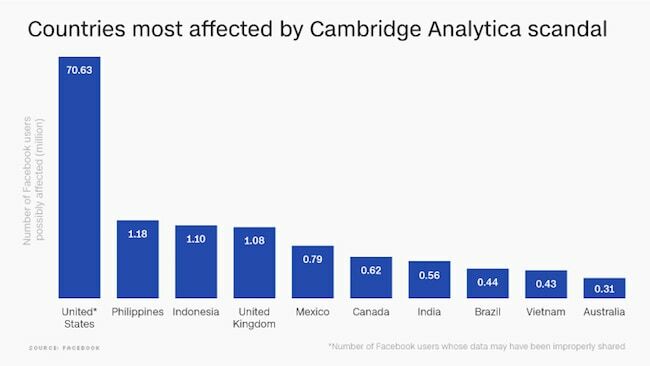 Global Science Research is alleged to have sold the information gathered on Facebook and Amazon Turks to Cambridge Analytic. While this is disturbing, the bigger issue is the fact that the application, which was only downloaded by approximately 270,000 people, also took the information from user’s friends. This means that in short order the application had gathered information from millions of users. Many of the estimated 87 million users that had their information sold to Cambridge Analytica never downloaded the “thisisyourdigitallife” application and never authorized the information to be used in any way. In 2003, NSA documents were leaked and gave a never before seen glimpse into the PRISM program. The leaked reports outlined collaboration between the NSA and GCHQ, the respective surveillance agencies of the United States and Great Britain. According to the Washington Post, the NSA and GCHQ, along with other spy agencies, tapped into the central servers of nine prominent US Internet companies. They extracted audio, photographs, emails, documents, and other information to target users. Facebook was identified as being a company that gave the spy agencies access to their servers. However, Facebook and other Internet companies that cooperate with government surveillance are legally immune because of the FISA Amendments Act of 2008. According to the leaked PRISM documents, Facebook has been cooperating with the NSA since June 2009. In essence, Facebook is just another part of the NSA. It is a tool the NSA has used for global surveillance. 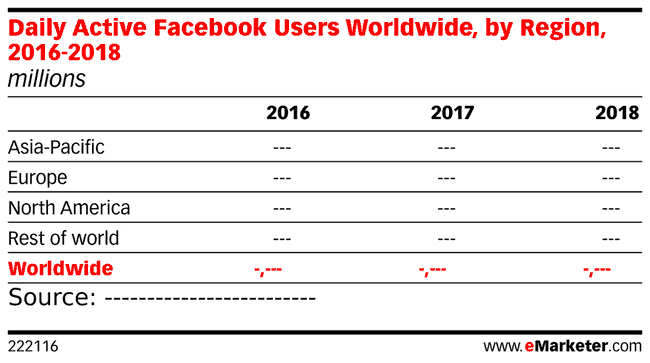 In 2015, journalists informed Facebook about the misuse of user’s data. The creator of the “thisisyourdigitallife” app, Dr. Alexander Kogan, said that the data was being gathered for academic study. He was insistent that at the time he was not engaged in improper activity. When Facebook learned about the way its user’s data was being gathered in 2015, it requested that Global Science Research delete the information. When Facebook learned that the information had not been deleted, they cut ties with Global Science Research and began their own investigation. Investors filed a lawsuit. They felt that this information should have been disclosed by Facebook. Cambridge Analytica is cooperating with investigators, claiming that they deleted the information. The company has said that the information they gathered wasn’t utilized during the 2016 presidential campaign. Since 2011, Facebook, according to PC World, has been developing technology for facial recognition. When you tag a photo on Facebook, it uses facial recognition technology to learn more about what that individual looks like. The same thing is true of your photos when others tag you. This program began almost eight years ago. Today, Facebook has a powerful and accurate artificial intelligence-based facial recognition system. It is one of the most sophisticated and most accurate systems of its kind on the planet. Discussing the program known as DeepFace, Wikipedia describes it as a learning facial recognition program. It has the ability to pick out human faces in digital images. It has a neural net nine layers deep. It is equipped with more than 120 million connection weights. The system is supposedly 97 percent accurate. This is better than the 85 percent accuracy rate of the FBI’s Next GEN identification system. 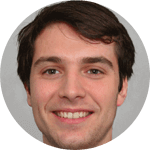 This means that every time you upload a photograph of yourself, a friend, or a family member, you are training the AI of DeepFace to better identify human facial features. Facial recognition of this type is devastating to privacy. With this type of facial recognition, a person could get a single photograph of you and then use that photograph to gather all of the information that has been collected by Google, Facebook, and other sites over the course of your life. Facebook met with Congress for two days after the data mining scandal broke. 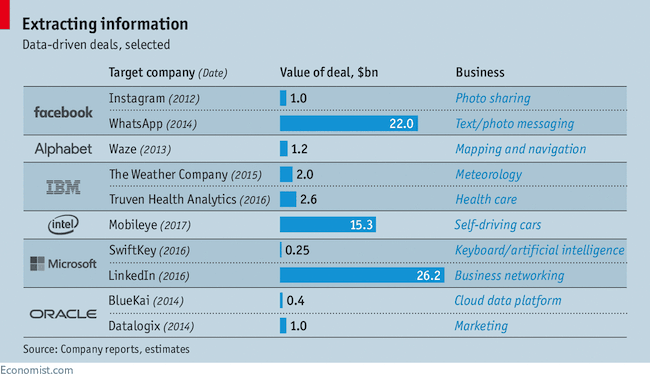 Facebook is using the services of a private investigation firm. However, the Information Commissioner’s Office of the UK is pursuing its own investigation and asked the private firm Facebook hired to leave while it was pursuing its investigation. The FTC is investigating how the information gathered during by Cambridge Analytica was used. There is also an Australian-based watchdog organization that is looking into the use of this information. As the investigation continues, more details will likely come to light. There are still a number of questions about how the stolen data was used. Many of these questions revolve around what, if any, impact the stolen information had on political campaigns. 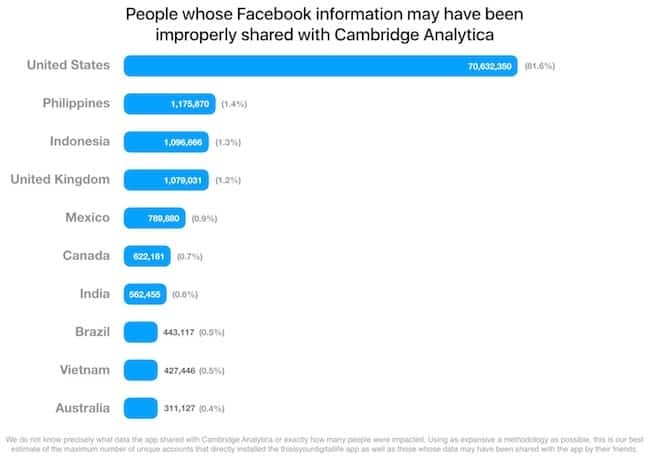 Cambridge Analytica maintains that they engaged in no wrongdoing. 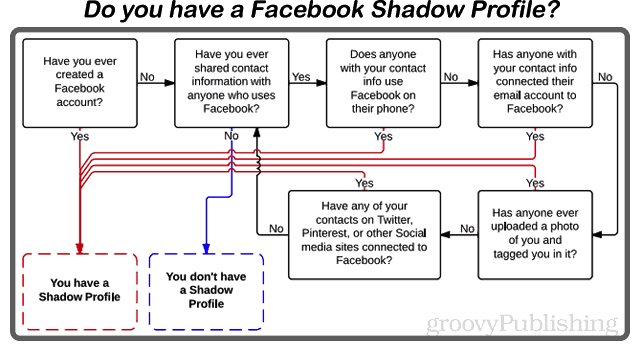 Facebook is using shadow profiles, according to information gathered from a number of sources, to monitor non-Facebook users. Facebook also uses third parties and builds shadow profiles to monitor the activity of nonusers. Facebook is building a digital biometric template by using every picture with a face that is uploaded to their servers. Currently, a lawsuit is being filed against Facebook, claiming that it is violating the privacy rights of others because it’s storing biometric information about people without getting their consent. Facebook is arguing that simply storing biometric information without consent does not harm people. It is clear that opting out of tracking and data collection done by Facebook is not an option. The only way to prevent the dark hand of Facebook from getting your private data is by using good online privacy security measures. What makes the Facebook breach different is that the information was not stolen via a hack or a security breach similar to what has been seen in other companies. However, as Zuckerberg clearly pointed out, there was a breach of trust between Facebook, Kogan, and Cambridge Analytica. The people who used Facebook trusted that Facebook would protect their data and that the data would not be shared with others. Zuckerberg has acknowledged that this is something that Facebook needs to fix. Andrew Bosworth, Facebook’s vice president of augmented and virtual reality who has also served as the vice president in advertising, explained that Facebook is set up so that the user’s personal data isn’t sold. This does not mean that developers do not receive data that helps them improve the experience for their clients. But Facebook, according to a post written by Bosworth, does not make money directly from this interchange of information. Their goal is to set up Facebook in a way so that no personal information is sold to businesses. He goes on to explain how if Facebook knows their users better than other businesses, it allows Facebook to show their users better ads, which leads to increased profit for Facebook. From Bosworth’s perspective, selling the information Facebook has gathered is a bad strategy. In order for Facebook to be viable, users need to have a positive experience when they connect to apps. 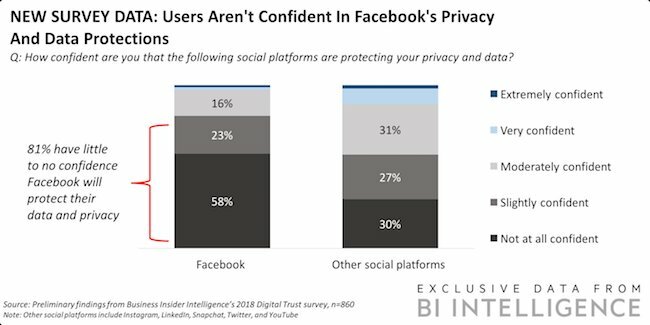 If users are worried that their information is being stolen, they will not necessarily connect to apps, businesses stop working with Facebook, and the whole process breaks down. This is part of the argument Bosworth gave defending Facebook and saying that Facebook did not intentionally expose user’s data. Facebook executive, Sheryl Samberg, issued an apology to Facebook users after it came to light that Facebook had conducted experiments on more than 700,000 users without their consent. Ironically, when you read the apology, you see that Samberg never apologized for the psychological experiments that Facebook conducted but instead for the fact that Facebook did a poor job of communicating about the experiments with users. You should care about this. It becomes very clear that Facebook is working to manipulate your emotions. What demented reason does Facebook have for doing this? We don’t know. What we do know is that it happened in the past, and it’s probably still happening. A former Facebook executive discussed how Facebook is psychologically damaging to our society. In the discussion he had about Facebook, this former Facebook executive laid out what he felt the psychological impact of Facebook has on modern society. He discussed how, thanks to Facebook, civil discourse and cooperation have decreased. Misinformation and mis-truth are on the rise. He continued by stating that the effect of Facebook on society is not just a problem faced by Americans but is a global problem. It is clear to see why so many people view Facebook as a psychological hazard that should be avoided at all costs. At its core, Facebook has proven itself to be sociopathic. What is most disturbing is that after all of the hearings, all of the scandals, and the investigations by the FTC, the United Kingdom, the United States, Australian governments, and other governments around the world, nothing is going to change. Many of the same institutions that have been tasked with investigating Facebook benefit the most from the information it gathers. Government agencies, big businesses, centers of education, and other groups need the information gathered from sites like Facebook to allow them to maintain control and power and to continually manipulate the masses. Facebook will write a token apology and say that the data breach was due to a mistake. The media will have a feeding frenzy over the scandal, discussing it like the privacy breach was something new or surprising. Facebook will keep on with business as usual. They will distribute your data, use your data in disturbing ways, and carry out creepy experiments on an unwitting and unknowing public. There’s no reason why you should think that Facebook is going to change the way it acts. Facebook is literally an extra arm of state surveillance. They spend millions of dollars every year lobbying politicians so they can continue with business as usual. First, get rid of social media. Second, find a good privacy focused browser to protect your data. Third, find a good VPN to make your online activity anonymous. If you do not want to cut ties with Facebook, take advantage of Facebook’s settings to limit shared data. Pay special attention to which third-party apps you have authorized to collect data. This will not protect you when an outside source finds ways to access Facebook’s information. But, at least, it is a start.